Hello Eighteen25 friends! I’m Melissa from No. 2 Pencil, and I’m so thrilled to be contributing to Spooktacular September. 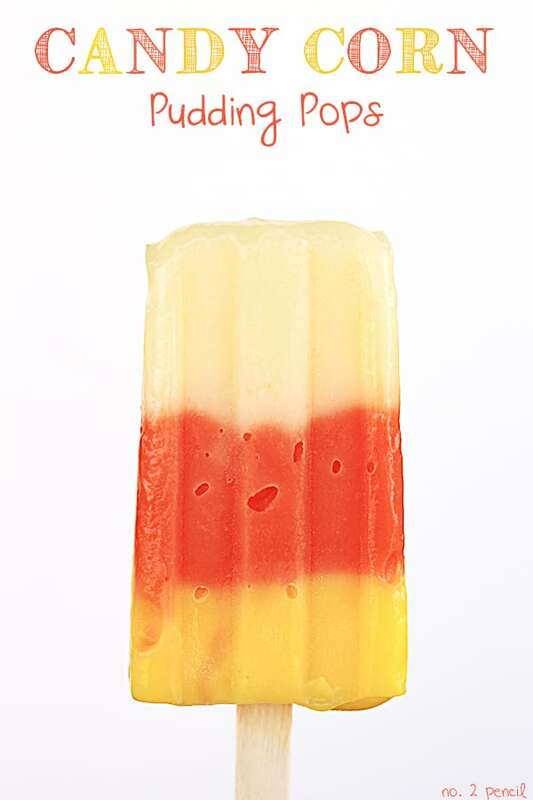 Today, I’m sharing a fun recipe for Candy Corn Pudding Pops. I know your little ghosts and goblins are going to love them! Step 1: Prepare White Chocolate Jello by mixing pudding mix with 1 1/2 cups of cold milk. Note: This is less milk than the box directions call for. This makes the pudding pops richer and creamier. Stir in 1 teaspoon of honey and transfer pudding mixture to a large plastic baggie. Step 2: Prepare Vanilla Pudding by mixing pudding mix with 2 1/2 cups of cold milk. Again, a little less than the box calls for. Stir in two teaspoons of honey and divide pudding into two bowls. Step 3: Color one bowl with yellow food coloring, adding just a few drops at a time. Next, color the other bowl orange by combing yellow and red food coloring. 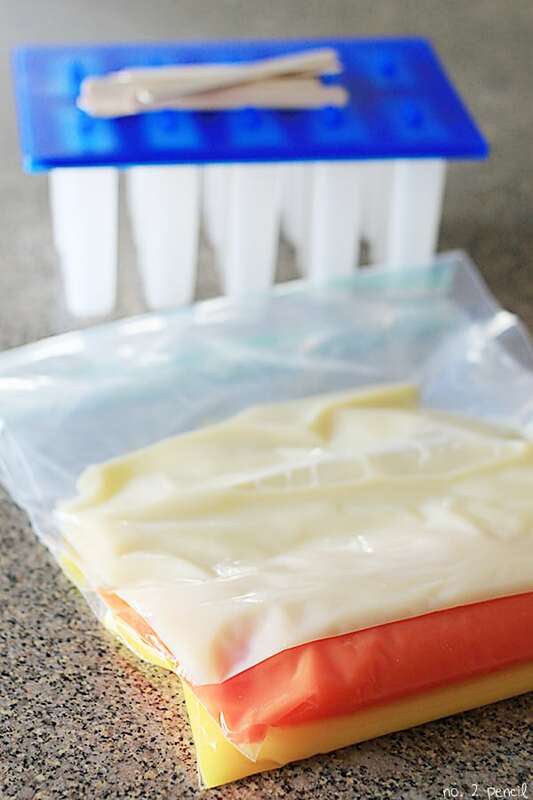 Transfer the yellow and orange pudding to a plastic baggie. 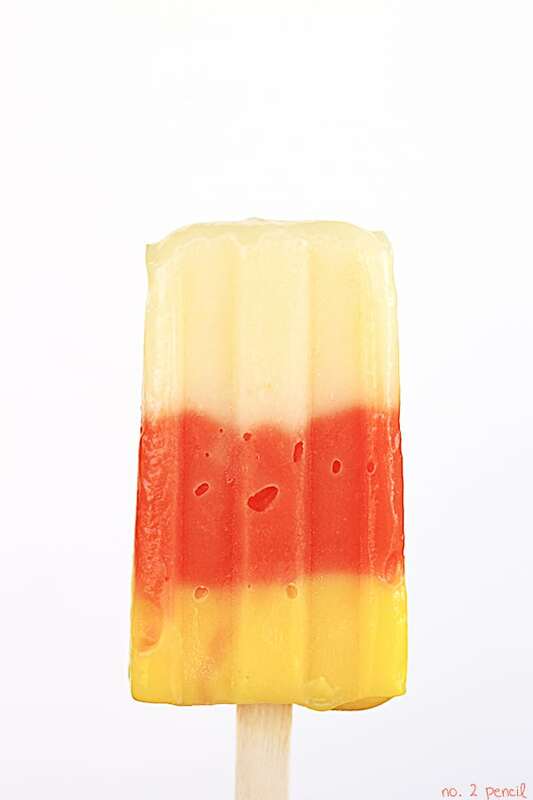 Step Four: Snip corner of plastic baggies and squeeze pudding into popsicle molds. Start with white layer and finish with yellow. Tap mold on counter between layers to reduce air bubbles and level the layers. 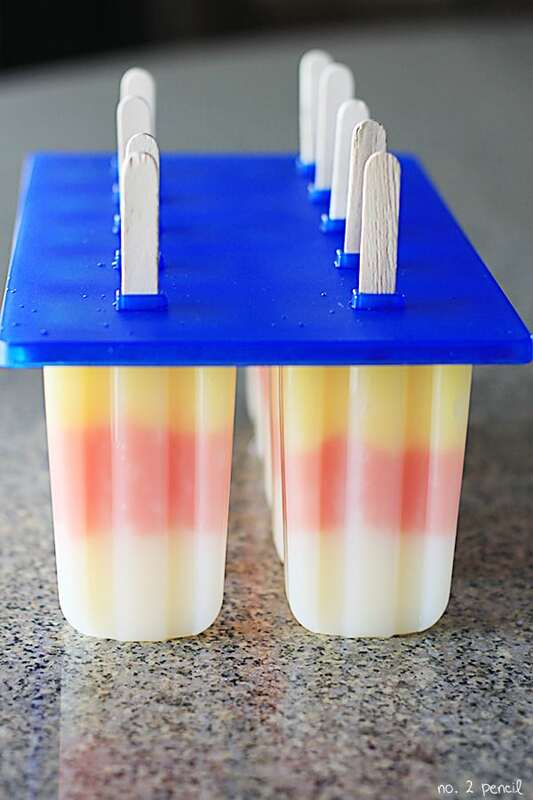 Step Five: Freeze pudding pops 2-3 hours or overnight. Thank you so much ladies for letting me share! I'm so excited to be included in Spooktacular September! Thank you again! How cute and fun to eat!! Pinning!! Love these! Pinned them to my candy corn idea board. Just curious as to the honey. Is it for flavor or does it do something with the pudding? I've never heard of that before. Again just curious. Thanks. Good morning! 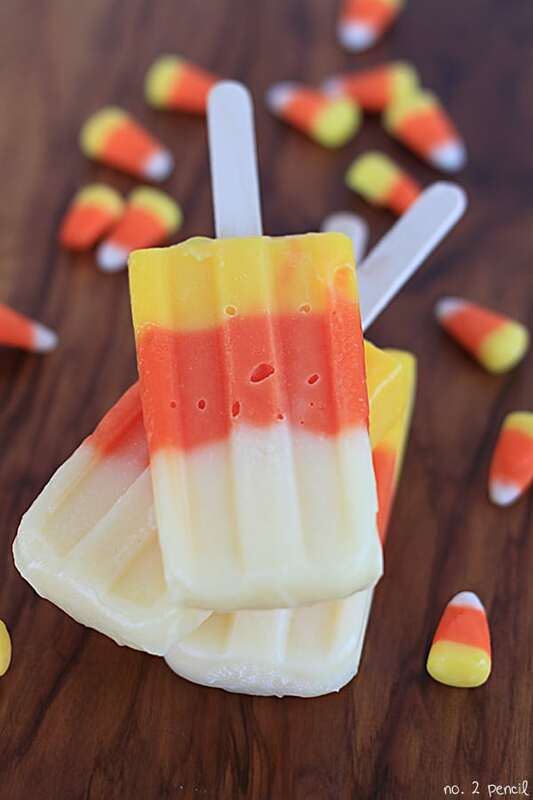 Stopping by to let you know that I featured these super cute Candy Corn Pudding Pops on my blog today in celebration of National Candy Corn Day! http://www.chattingoverchocolate.com/2013/10/a-dozen-ways-to-celebrate-national.html … Thanks for sharing this sweet dessert idea!